The National Chemical Carriers Company (NCC) has signed a time charter agreement for three chemical tankers with International Shipping and Transportation Company, a subsidiary of Saudi Basic Industries Corporation (Sabic). The tankers will be used to transport petrochemicals liquids to the international ports for a period of five years, with an option of extension for another five years. Abdullah S Al-Rubaian, chairman signed the agreement on behalf of NCC while International Shipping and Transport was represented by Yousuf A Al-Zamil, executive vice president of Sabic. Abdullah S Al-Rubaian said that these agreements achieve one of the most important goals of the company which is to contribute for the development of the national economy and keep pace with the expansion of Saudi exports of petrochemicals. 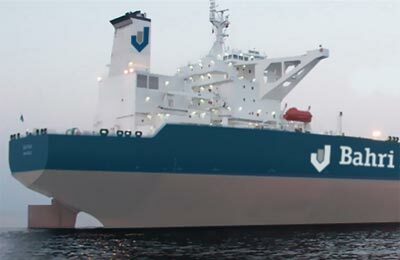 “NCC is proud to provide a world-class standard and specialized modern carriers to transport Sabic’s liquid petrochemicals, including a huge chemical tanker which is the largest of its kind in the world, built to the latest technology this industry has in terms of size, engineering, equipment and design,” said Al-Rubaian. He further mentioned that the signing of such contracts is in line with the company’s strategy, to do business on a long term time charter agreements allowing the parties to do their long-term planning to achieve the best from the investment, operation and marketing. The company recently achieved distinct success in petrochemical transportation sector because of the diversification of carriers in terms of size and specifications, he added.